Although popularised in the mainstream by the rise of data protection laws, the right to be forgotten is not new. 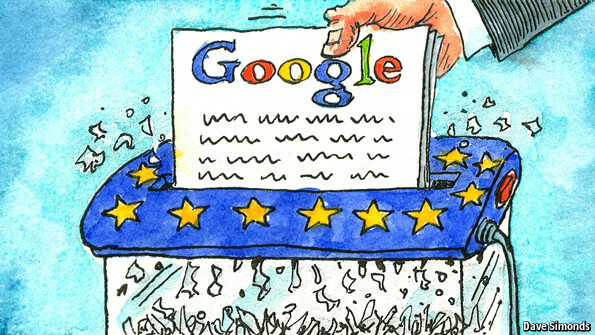 The specific term – “right to be forgotten” – is often used to suggest that the CJEU created an unequivocal right for personal data to be removed from the Internet, regardless of the circumstances. The facts however are far more nuanced. The Google Spain judgement did not elevate the right to be forgotten to a “super right” which takes priority over other fundamental rights, including the freedom of expression or the freedom of the press. New guidance from the European Commission emphasises that the right to be forgotten is about protecting the privacy of individuals, and not about erasing past events or restricting the media. The upcoming case therefore highlights an area of the law in which two human rights come into conflict: the right to be forgotten (a dimension of the right to privacy under Article 8 HRA 1998) against the right of freedom of expression. Most are aware that freedom of expression encapsulates the right to give information, but it also captures the right to receive information – including by way of Google (Article 10, HRA 1998). If the Court grants an injunction or otherwise requires Google to take down the information about NT1 and NT2, this might affect the exercise of the right to freedom of expression. The question before the court is whether NT1 and NT2’s “spent” criminal convictions should be forgotten by Google. Under the Rehabilitation of Offenders Act 1974, after a certain period of time (which varies according to the sentence) a person’s previous convictions are considered “spent”. The underlying principle is that, for all but the most serious offences, people should not have a lifelong stain on their record. The Claimants in this instance are neither celebrities nor politicians, but both were convicted of criminal offences. In the late 1990s, NT1 was convicted of conspiracy to account falsely. Over ten years ago, NT2 was convicted of conspiracy to intercept communications. NT1 and NT2 complain that Google’s search engine, in response to searches of their names, links to information about their spent convictions. According to court documents, NT1 is “treated as a pariah in his personal, business and social life, and has been unable to form any new friendships or personal relationships.” NT2 argues that certain financial institutions are unwilling to deal with him “on private or commercial business” after searching for his name on Google. Google has received 386,038 “right to be forgotten” removal requests since the Google Spain ruling, and has accepted approximately 42% of them. Additionally, although the EU provides some updated guidance noting that the rights to privacy and expression must be balanced, it does not clarify how the balance should be decided – the matter is left for domestic Courts. It is therefore by no means clear if NT1 and NT2 will be successful in their claims.